Although the idea of going camping is to get away from being connected to the outside world and soak up as much nature as you can, there are times where you will need to have a way to still be connected to the outside world. Instead of relying solely on the battery life of your phone or laptop, and hoping you have enough for the weekend, you can ensure you have enough juice for the weekend by ensuring you have the Best Inverter Generator for Camping available within the marketplace. Not only will the inverter generator help keep your electronics going while you out camping, but you can also then bring other appliances with you to make your camping trip just a little bit more comfortable. Although there is nothing wrong with starting a camp-fire and holding the skillet out to help cook some eggs or sausage or bacon, it’s easier if you can use a griddle that is plugged into your inverter generator. Or, rather than attempting to blow up an air mattress by just using your mouth, you can plug the inflator into the generator, and let it do the work for you. Within this article, we’re going to review three different inverter generators which are great for camping. We’ll give you the best attributes of each generator, so you can decide what characteristics are most important to you. After we review each of the three generators, we’ll then have a table which shows you a comparison of the most important aspect of each generator, all in an effort to ensure you find the best inverter generator for your camping needs. 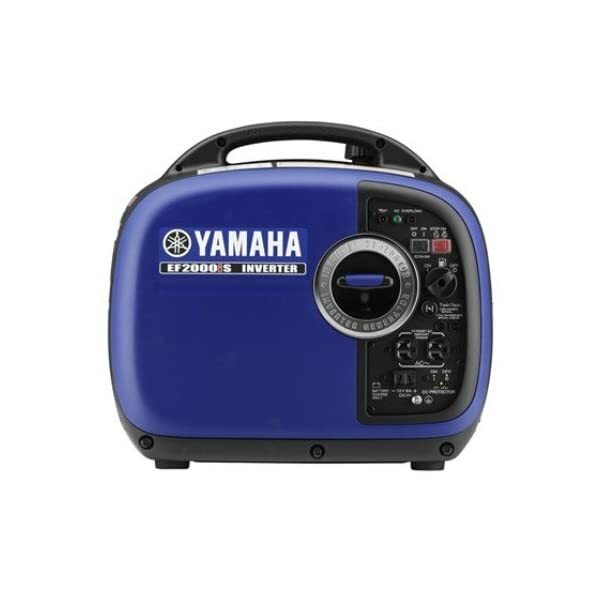 This portable inverter generator from Yamaha comes with a USFS approved muffler, allowing this generator to run quieter than most on the market, as it comes in at 51.5 dBA when running at 25%. This generator also comes with a Throttle which is adjustable, allowing you to determine the engine speed you desire based upon how much load is on the generator, allowing you to save fuel. This generator has the capability of recharging batteries, which means not only is good for camping, but it can also be good for your Boat, Automobile, and RV. 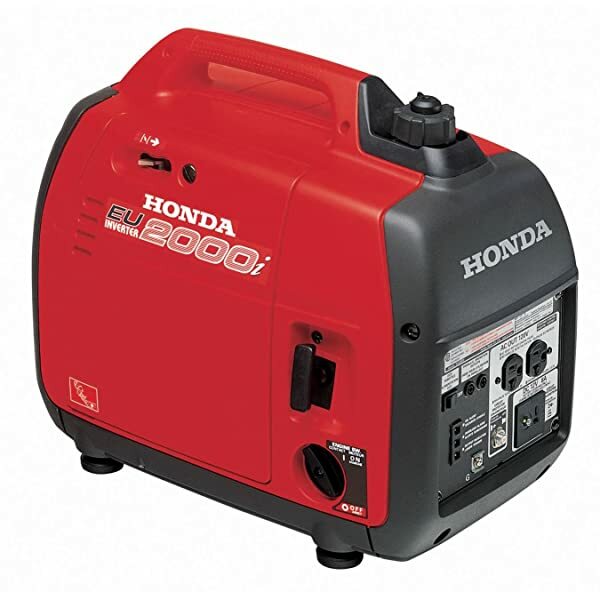 Honda has this powerful, yet quiet portable inverter generator which is great for any camping needs. The starting system is a recoil system, so it will not start randomly on you. This compact inverter generator comes with a powerful GX100 Honda engine, which has a fuel tank capacity of .95 gallons. This capacity allows this generator to run for just over eight hours when operating at 25%. The generator will automatically turn off when the oil level is running low, ensuring you do not burn up the engine unknowingly. 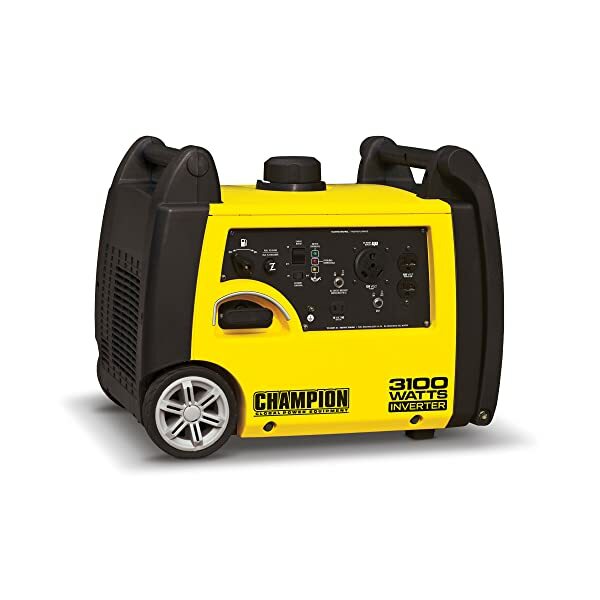 This inverter generator from Champion comes with a 171cc Champion Engine, meaning it is durable and long-lasting. Has built-in wheels, so you can easily transport the generator to anywhere you need on the campground. The generator does weigh 80 pounds, so having the wheels and handle are vital towards the portability of this unit. This unit is powered by gas and is CARB compliant in all 50 of the United States. When it comes to finding the right portable inverter generator for camping, these three options will give you a wide variety of options to choose from. No matter if you are on a budget, or need a generator which can power an RV, these generators will give you the desired performance you need. You only want to purchase an inverted generator once, so make sure you find the one that is right for you and your camping needs. Good luck, and hope you have fun on your next camping trip while using your new portable inverter generator!